For those of you who have the hots for 3D printing, additive manufacturing and Industry 4.0 check out the real stuff happening every day 24/7. 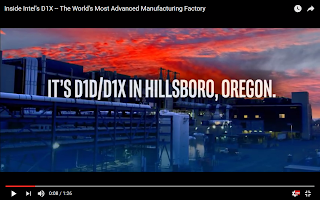 Here is a cool Fab movie form Intels D1X Fab that is a new extension of their D1D factory at the Ronler Acres campus in Hillsboro, Oregon. 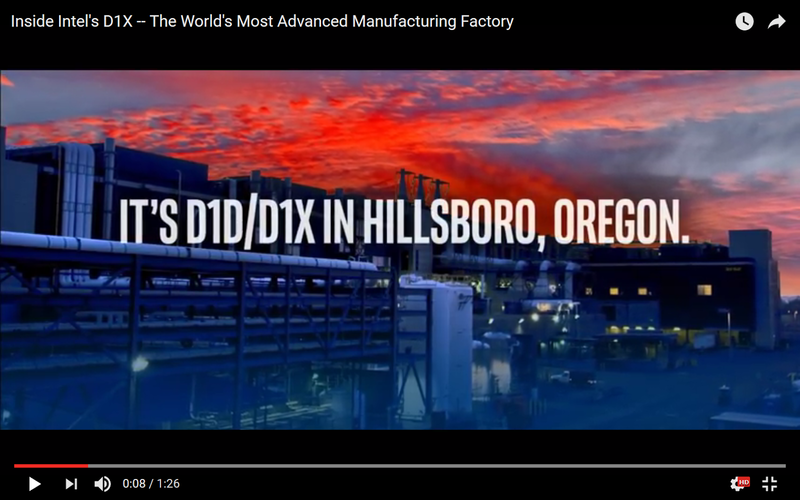 D1D/D1X is where the company designs and manufactures all the latest technology nodes : 14nm, 10nm and 7nm technology. At 00:18 in the movie below you can spot an ASM A412 Large Batch Furnace on the left with its characteristic pale yellow and white panels and the black tinted doors and windows. Summer competition - What other tools can you spot? Any ALD machines? For 2017, the leading ALD equipment manufacturer ASM International expect a clear improvement in the single wafer ALD market and they forecast the single wafer ALD market to reach a size of about USD 1.5 billion by 2020-2021. As a comparasion the ALD market as a whole was estimated to USD 1.4 to 1.5 billion in 2016 (Gartner, VLSI Research, TECHCET), including all segments (e.g. Semi, MEMS, PV, OLED and R&D). "In Q2 we realized sales of €202 million, which was slightly above our guidance and at a historical high quarterly level. The order intake for Q2, at €206 million, came in at the high end of the forecast and was also at the highest level in the company's history. 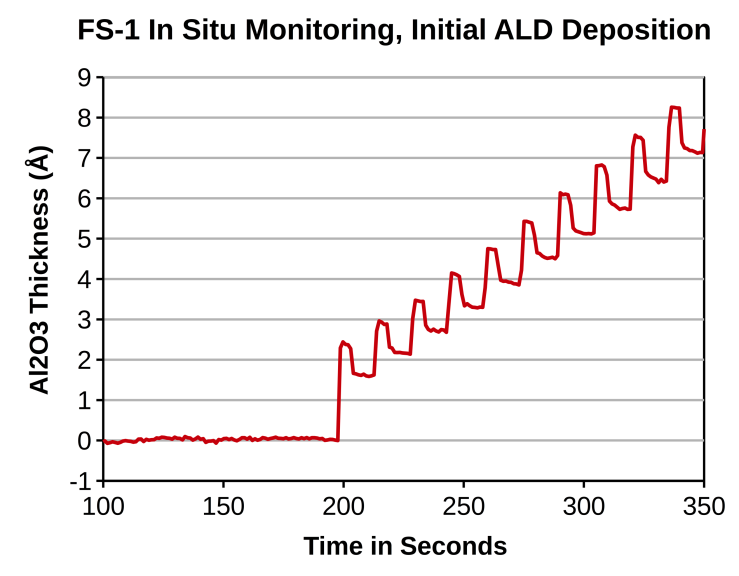 Order intake in ALD was primarily strong from the 3D-NAND and Foundry segments. 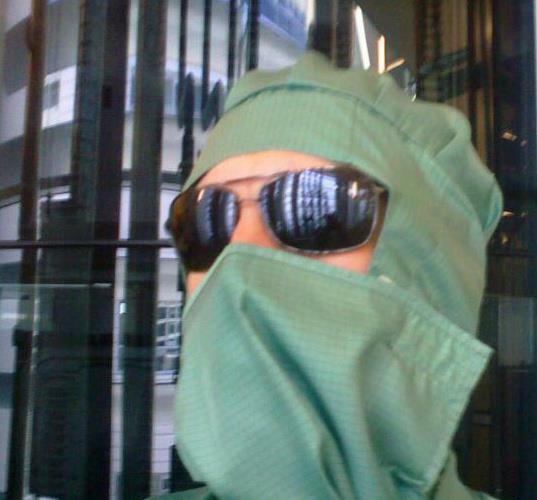 We also received several Intrepid Epitaxy orders in Q2." As reported by Solid State Technology: Veeco Instruments (Veeco) recently announced that Veeco CNT—formerly known as Ultratech/Cambridge Nanotech—shipped its 500th Atomic Layer Deposition (ALD) system to the North Carolina State University. The Veeco CNT Fiji G2 ALD system will enable the University to perform research for next-generation electronic devices including wearables and sensors. Veeco announced the overall acquisition of Ultratech on May 26 of this year. Executive technologists from Veeco discussed the evolution of ALD technology with Solid State Technology in an exclusive interview just prior to SEMICON West 2017. Evolution of Atomic-Layer Deposition (ALD) technology starts with single-wafer thermal chambers, adds plasma energy, and then goes to batch processing for manufacturing. (Source: Veeco CNT, used with permision). Join the Critical Materials Council (CMC) Conference 2018, April 26-27 in Phoenix, Arizona. Get actionable information on materials and supply-chains for current and future semiconductor manufacturing. 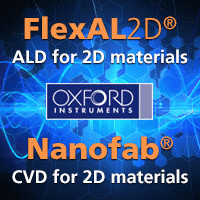 Oxford Instruments’ ALD and 2D technical specialists have teamed up with Eindhoven University of Technology research teams to develop the innovative FlexAL-2D for atomic layer deposition (ALD) of 2D transition metal dichalcogenides for nanodevice applications. San Diego, Calif – July 15, 2017–RASIRC today announced the release of the next generation RainMaker® Humidification System (RHS). 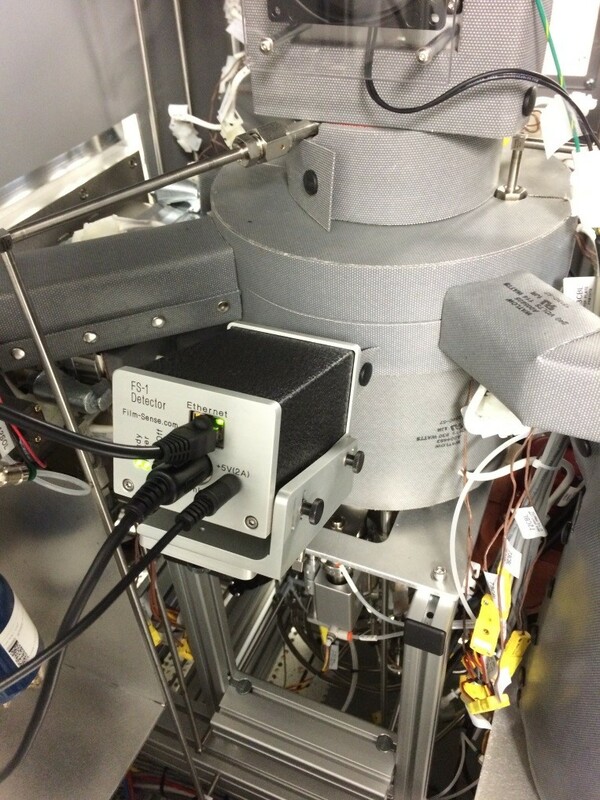 The system incorporates a new control system that provides highly accurate, droplet free water vapor for advanced atomic layer deposition (ALD) processes. 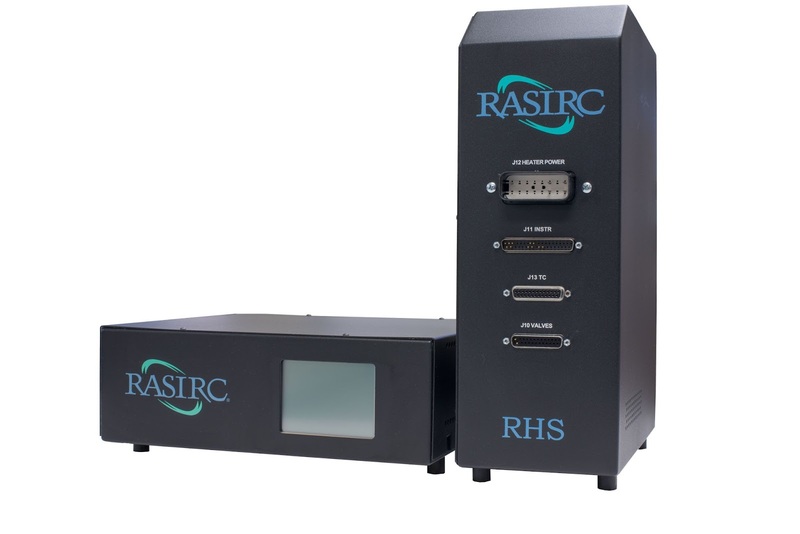 The RHS has a wide mass delivery range of 50 - 5100 mg/min water mass flow rate in carrier gases. 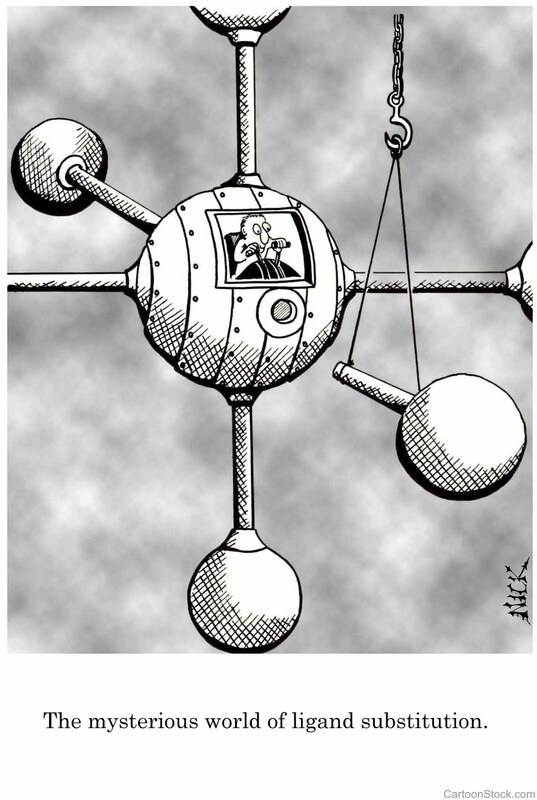 The system is capable of highly accurate and precise delivery of gaseous water into pressures from atmosphere to high vacuum. On the road to Denver for ALD2017? 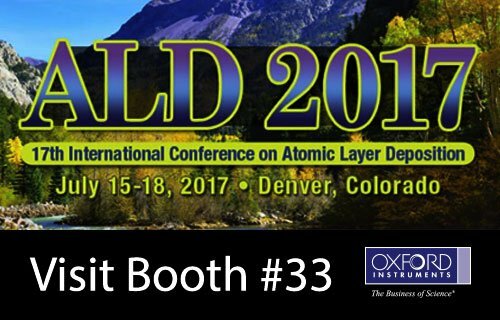 If you are coming to ALD2017 in Denver, please visit the Lesker booth #31 to see a live demonstration of the FS-1 integrated on an ALD150LX reactor. At the Film Sense booth #1, an FS-XY150 automated mapping stage will be on display. 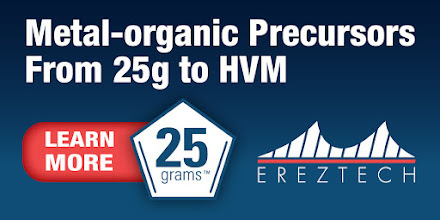 The Film Sense FS-1 ellipsometer is now available as an option for the Lesker ALD150LX reactor. For more information please contact Dan Hadwiger (mailto:dhadwiger@film-sense.com) or Noel O’Toole (mailto: noelo@lesker.com), or visit our websites at http://www.film-sense.com/products/fs-1-ald-applications/fs-1-lesker-ald150lx and https://www.lesker.com/newweb/vacuum_systems/deposition_systems_ald_ald150lx.cfm. San Diego, Calif – July 13, 2017–RASIRC will announce the latest generation of its BRUTE Hydrazine product line at the annual ALD Conference held July 15-18, 2017 in Denver, Colorado. 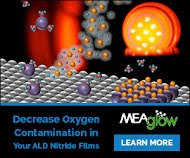 At low temperatures, ammonia or nitrogen plasmas cannot grow nitride ALD films on three dimensional, high aspect ratio (HAR) structures. BRUTE Hydrazine solves this problem and enables process engineers to incorporate nitrides into new device architectures. RASIRC Chief Technology Officer Dan Alvarez will present “Low Resistivity Titanium Nitride ALD: Low Temperature Enabled by the Use of Ultra‐High Purity Hydrazine” on Tuesday July 18, at 1:45PM in Room Plaza F. Alvarez is a contributing author on another paper and two posters to be presented during the conference. RASIRC will also present the latest findings related to novel reactive chemistries for in-situ surface functionalization at Booth #16. San Diego, CA, July 11, 2017: TECHCET CA—the advisory service firm providing electronic materials information—today announced that specialty chemical precursor market for the deposition of dielectrics and metals in integrated circuit (IC) fabrication is forecasted to increase at ~10% CAGR through the year 2021. TECHCET’s proprietary Wafer Forecast Model (WFM) shows that 3D-NAND devices are expected to grow at a rapid pace from 2016 and become one of the top three market segments by 2020. 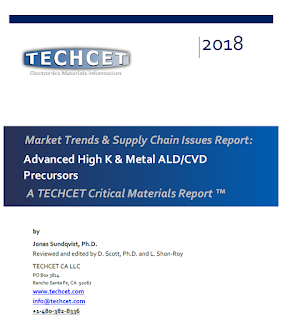 Logic ICs will continue to evolve, from 3D finFET devices to Gate-All-Around Nano-Wires (GAA-NW), enabled by new critical materials and manufacturing processes as detailed in new reports from TECHCET, “Advanced Insulating Dielectric Precursors,” and "ALD/CVD High-k & Metal Precursors." Precursors tracked by TECHCET for ALD/CVD of metal and high-k dielectric films on IC wafers include sources of aluminum, cobalt, hafnium, tantalum, titanium, tungsten, and zirconium. The total market for 2017 is now estimated to be US$435M, growing to US$638M in 2021. The top-2 suppliers are estimated to hold more than half of the total available market, with many players competing to supply the next enabling molecule. In particular, cobalt precursor demand is forecasted to reach >$80M in 2021 as foundries transition to below 14nm-node processing. As a potential conflict mineral, TECHCET tracks the sub-suppliers of cobalt. Precursors tracked by TECHCET for ALD/CVD/SOD of advanced dielectric films on IC wafers include multiple sources of silicon. The total market for 2017 is now estimated to be just over US$400M, growing to US$560M in 2021. Current growth over 10% is expected to slow slightly to be in the 8-10% range over 2019-2021. 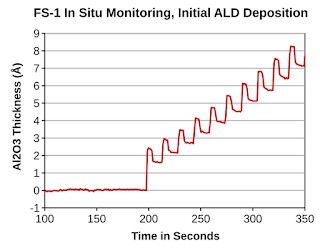 Anticipated near-term developments include transitions from CVD to ALD for several IC fab modules.